Vitamin status and the presence of subclinical inflammation may affect cognitive performance and behavior. We have investigated the relationship between serum fat soluble vitamins (vitamins A, D, and E) and inflammatory markers with aggression and cognitive abilities, in a population of healthy adolescents. A cross-sectional study of 940 adolescent girls was performed. Serum concentrations of vitamins A, D, and E, hs-C-reactive protein (hs-CRP), and antibody titers to Hsp27 (anti-Hsp27) were measured. Hematological indices including lymphocyte, neutrophil, platelet counts, and red blood cell distribution width (RDW) were evaluated. Neutrophil to lymphocyte ratio (NLR), platelet to lymphocyte ratio (PLR), and RDW to platelet ratio (RPR) were calculated. A Cognitive Abilities Questionnaire and the Buss-Perry Aggression Questionnaire were applied to assess cognitive performance and aggression, respectively. There was a positive correlation between serum vitamins A with vitamins D and E, as well as between serum hs-CRP with serum vitamin E. Linear regression analysis showed that serum vitamin D, hs-CRP, anti-Hsp27, and RDW were significantly associated with aggression score. 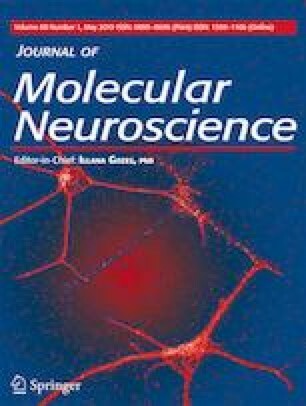 Furthermore, serum vitamin E, hs-CRP, anti-Hsp27, NLR, and RPR were significantly associated with cognitive ability score. Inflammatory processes may affect cognitive performance and behavior. Prospective studies are warranted to determine the potential of targeting antioxidant and inflammatory pathways for the treatment of psychological disorder. We are grateful to all study participants and their parents. Concept: M G-M, HRS, H B-T.
Design: A B, H B-T.
Data collection or processing: A B, Z K, G A.F. Analysis or interpretation: M T.
Writing: G A. F, A B. This study was funded by Mashhad University of Medical Sciences (Code: 931188) and Sabzevar University of Medical Sciences. The approval of the Ethic Committee of the Mashad University of Medical Sciences was obtained about this study (931188); informed consent: It was taken.